ORCID provides a persistent digital identifier that helps researchers and scholars distinguish the research activities from those of others with similar names. The identifier is being integrated into key workflows by funders, research organizations, publishers and others. 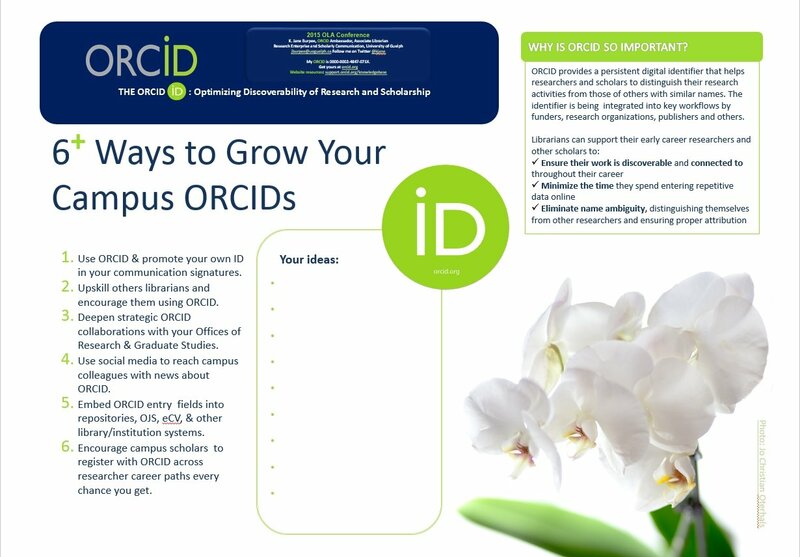 In this poster by K. Jane Burpee see the multi – faceted value of ORCID and explore 6 ways to help you and your library grow ORCID presence with your campus faculty and graduate researchers.